Fact: nothing is more elegant or versatile than a LBD (or, in this case, a LND – little navy dress). You can rock it at a cheeky coffee catch up, on a date night to blow away your first-time Tinder meet-up, or bring the fierce to a casual shopping trip. This must-have item is one of our favourite pieces from búl’s recent collection. It’s flattering on all shapes and we’re confident it can be worn to any occasion. Want proof? 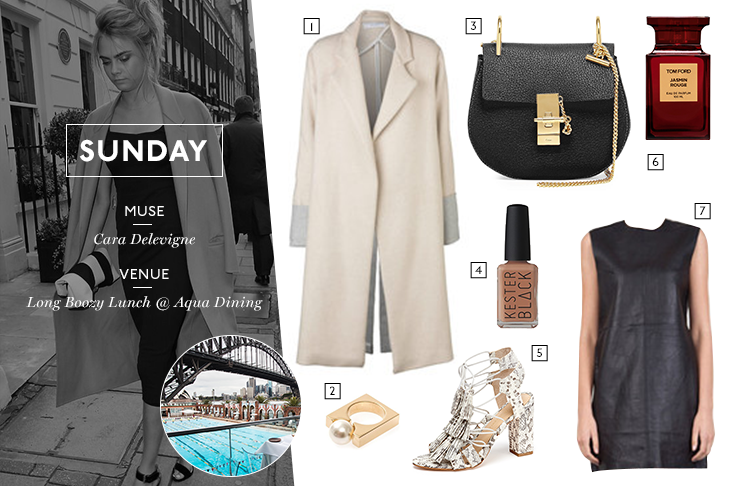 We stalked a few of our favourite fashion goddesses and found the perfect way to style this delicious dress every day of the week. You are most welcome. 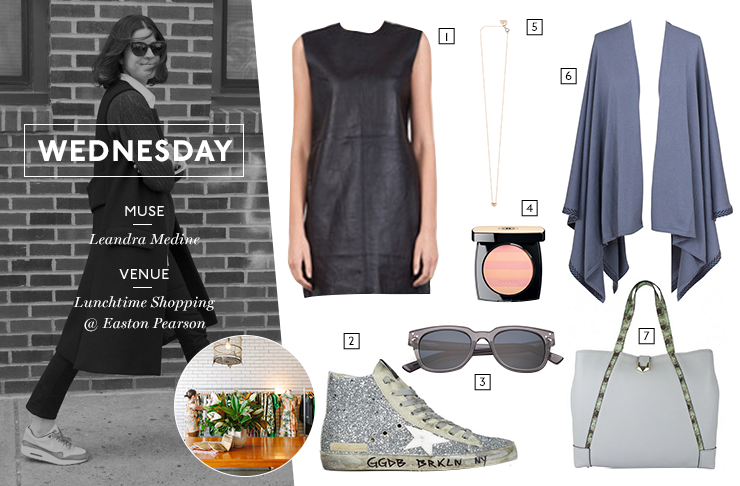 Keep it Monday-casual with a delicious coffee from Venus Wholefoods, and these to-die-for Acne sneakers. 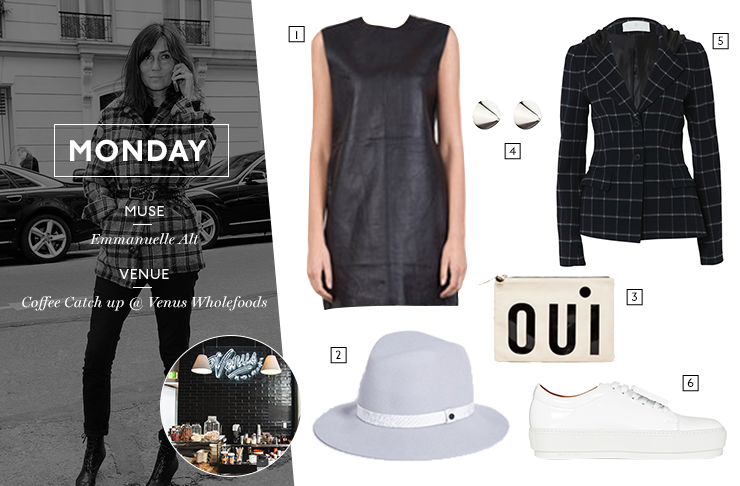 Our girl crush on Emmanuelle Alt only intensifies as she rocks this plaid jacket. Sigh. When will our lives be as awesome as Harper and Harley’s Sara Donaldson? Probably never, but it doesn’t mean we can’t copy her gorgeous white-coat-on-black-dress combo at Longhorn Saloon. Be not afraid of these glittery Golden Goose sneakers in all of their glory. Our spirit animal Leandra Medine certainly isn’t. Show it off while giving the credit card a good swipe at Easton Pearson. Oh Olivia, is there anything you can’t pull off? Beat the winter chill and throw on this white knit by Grace Melbourne while getting your chow on at Chaco Bar. Just don’t spill any on your gorgeous knit. If you aren’t channelling Kate Moss at Bomba every Friday night, you are wasting your time. Switch up your head-to-toe black and rock this needs-no-introduction jacket by Sydney label Stanzee. Ahhh the classic denim jacket, how you make us swoon. 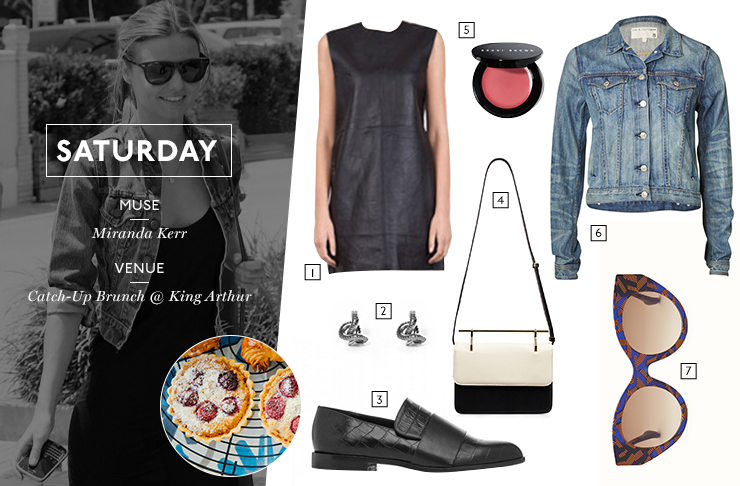 Especially when worn over this leather dress and paired with these incredible Fendi x Thierry Lasry shades. Knock 'em dead at King Arthur. Long, boozy and full of chin-wags, just the way we like our lunches at Aqua Dining. Cap off the week rocking this eye-grabbing Darcey ring by Chloe and their must-have flap leather chain bag. You deserve it.